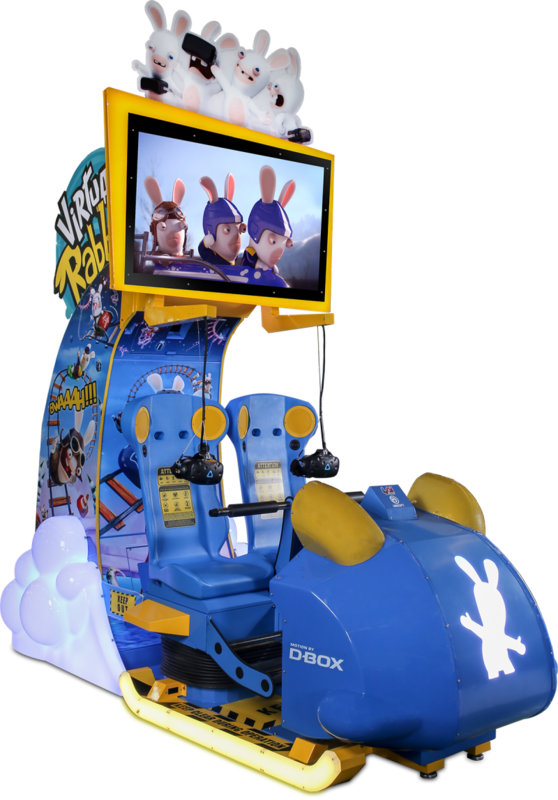 Dallas, TX USA – April 2018 – The newest award-winner from LAI Games, Virtual Rabbids: The Big Ride, will make its Middle East debut at the DEAL show next week in Dubai, UAE. It is the industry’s first attendant-free VR attraction that operates and is serviced like any other coin-op amusement game, making high-quality VR accessible to venues of all sizes. Virtual Rabbids recently was awarded the AMOA Innovator Award at this year’s Amusement Expo in Las Vegas. Virtual Rabbids: The Big Ride provides a VR experience that will entertain enthusiasts and first-time users alike. It was created in partnership with pioneering video game developer Ubisoft and features the global powerhouse Rabbids brand in three thrilling experiences suitable for all ages. Employing state-of- the-art technology including a D-Box motion platform, HTC Vive headsets, dynamic wind simulation and hi-fi audio, The Big Ride is an unforgettable experience for guests and a winner with operators. You are invited to try Virtual Rabbids for yourself in ASI Booth #Z2-C04. ASI, LAI Games’ exclusive distributor in the region, will also have on display previous AMOA Innovator Award-winners Let’s Bounce, HYPERshoot, and the Snapshot 2 photo booth.